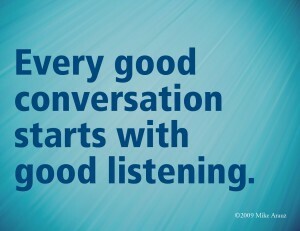 It has been said that, “everything begins with good listening,” and this conversational principle is essential if we are to bring the message of Christ to people in a way that is palatable, making it as attractive as possible so as to bring them to a serious consideration of choosing Christ as their own. We must, ‘seek first to understand, then to be understood,’ if we are to be an effective Christian case-maker. 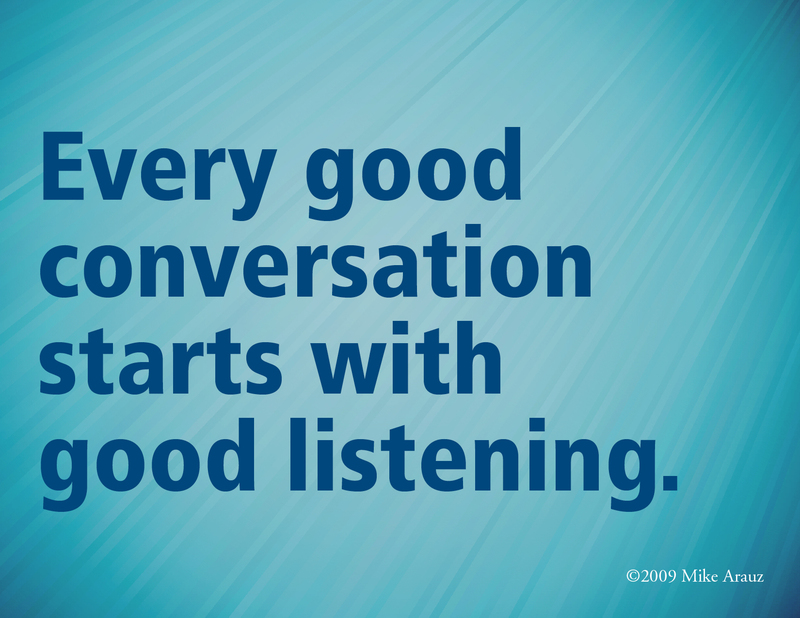 “Listening to the person right in front of you helps you to discover how to effectively serve that person. People we encounter are at different learning points in their own beliefs. Sometimes, a person has studied about their beliefs. Sometimes, a person barely knows their beliefs. When we assume a stereotype of a person’s beliefs, we might assume something that person either doesn’t know or doesn’t believe. If we ask questions about the individual’s beliefs, and try to understand their beliefs as they do, we can then pinpoint specific issues to discuss. For example, I engaged in conversation with some folks at my door a few months ago. Instead of telling them what I thought they believed, I asked them, “Who is Jesus?” and “What is Jesus’ purpose?” They had a difficult time with answering these two questions. I realized my background in their religion wasn’t going to be very helpful with these specific folks. So I directed our conversation towards helping them figure out what they believed about Jesus. This was really important to ministering to these individuals. It wouldn’t have well served these two people for me to argue against beliefs they didn’t know or didn’t understand. My conversation with them was more productive because they had to discover and defend their own beliefs.